Pathways Alcohol and Drug Treatment is a non-profit treatment facility which is a special part of the Anne Arundel Medical Center and provides care for teenagers and adults struggling with mental health and substance abuse problems. Anne Arundel Medical Center began accepting patients in 1992 and since then, the Pathways center for treatment has been providing guidance and support for those in need. The treatment center is a stone’s throw from downtown Annapolis and is located in a natural setting that offers adventure therapy ropes courses. The facility is secure, secluded, and open 24/7. Pathways center operates with an experienced and caring team of professionals and understands the unique nature of the recovery process. For this reason, the center works closely with each individual patient to design a treatment plan for them based on their needs and history and also offers numerous treatment options for individuals with addiction and mental health disorders. Each patient at the facility is monitored and cared for by a medical team which includes a psychiatrist, mental health clinician, adventure and family therapists, registered nurses, clinical counselors, and many more. In addition to the facility’s wide range of treatment options, the facility also has an intensive and continuing care outpatient program for teenagers between the ages of 13 and 17. Inpatient, partial hospitalization, intensive and traditional outpatient programs are also made available for adult patients. Since Pathways is a family-centered facility, family programs and workshops exist for adult inpatients. 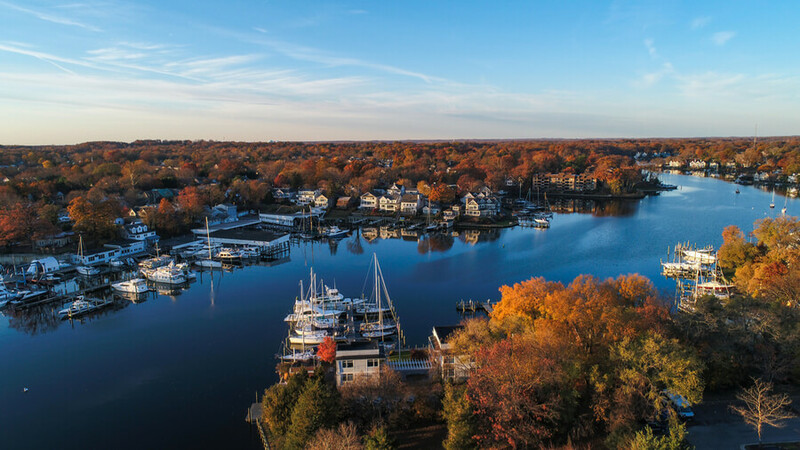 The facility exists in a family-oriented, wooded area near downtown Annapolis and offers an ideal, serene location for recovery. Residents are accommodated in comfortable, dorm-style housing where therapeutic activities are also held. Rooms at the center have simple furnishings and are able to accommodate two people (twin beds are made available). All rooms have private bathrooms. Each gender has separate wings at the facility and housekeeping services are available for the patients. The facility tries to confine most of its activities on-site and has an outdoor ropes course for individuals involved in adventure therapy. Meals are served three times a day in the facility cafeteria and an experienced chef prepares these meals. A patio exists for outdoor dining and there are special evenings where clients can enjoy food delivery usually in the form of pizza. Additionally, counseling rooms are made available to residents. In the inpatient treatment program for adults suffering from substance abuse and mental health disorders, clients go through an intensive set of treatment options and length of stay may vary depending on the client’s unique needs. The inpatient treatment program may include medical detoxification, counseling, aftercare planning, and recovery education. This is a daytime program which is tailored for clients who are medically stable and are in need of inpatient rehabilitation or detox programs. Participants may be able to stay overnight for a small fee but in most cases return home in the evening. The facility offers outpatient programs for both teens and adults. In this form of treatment, adult participants attend three-hour sessions about four times a week and finish only when personal treatment goals are met. For teenagers involved, parents or guardians are required to the group sessions which take place on Monday for the entirety of the program. Pathways Alcohol and Drug Treatment Program costs approximately $10,900 to $15,100 for a 21-day treatment. Clients are advised to call the facility to verify and get information as Financial Counselors and Administrative Staff are always available to answer any questions a patient might have about payment plans and methods. The facility is in-network with most insurance providers and believes that general insurance plans should include coverage of the treatment program cost. Although the facility strongly advises that clients call their insurance providers to verify insurance coverage, provide assistance, create a comfortable funding plan to help the patient make payments easily, find out if the facility is a preferred provider, and many more. The facility is accredited by The Joint Commission (Gold Seal of Approval) and the Maryland Department of Health and Mental Hygiene. The facility provides a medical detoxification process and highly qualified medical staff, making it a good option for clients living around the area as it is close to the Anne Arundel Medical Center as well. Smoking is allowed but only at scheduled times. Although, the average length of a program is short and the facility handles quite a large number of clientele, the facility tries to focus the duration of stay of the patient on treatment and therapy and not recreational, fitness, or extra-curricular activities. Clients looking for a recovery center that allows for a lengthened period of stay, for recovery purposes in a soothing setting, might not find this place to be the best choice as the center focuses on the practical mode or way of recovery. Raymond holds a degree from the Creighton University (Medical School) and then proceeded to the University of Maryland (Psychiatry Department) where he completed his residency specializing in general psychiatry. He also went to Sheppard Pratt Hospital which was formerly known as Center for Eating Disorders and completed his fellowship in Eating Disorders. Jo holds a Master’s degree from the University of Maryland (School of Nursing) majoring in Child and Adolescent Psychiatric Nursing. Before working with the facility, she worked at the John Hopkins Medical Center (Bayview) where she held the position of Director of Nursing (Neurosciences and Psychiatry). Having over 40 years of experience in the substance abuse and mental health sector, she adds a lot of knowledge and value to the facility. She is also a member of the ANA (American Nurses Association), MACDN (Maryland Association of Chemical Dependency Nurses), and the APNA (American Psychiatric Nurses Association).